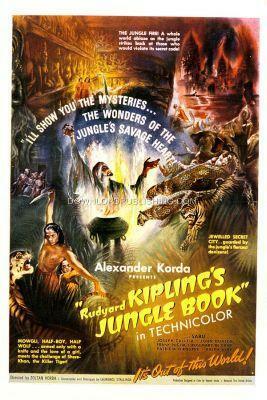 the wonders of the jungle's savage heart! Little Mowgli wanders away from his village and walks into a Wolf Den and falls asleep with the Wolf puppies. The adult wolves raise Mowgli as one of their own. He learns how to talk to the animals in the jungle. Mogli (Sabu), now a teenager, is chased out of the jungle by a tiger and wanders into a village. He is adopted by Messua (Rosemary DeCamp), a woman who lost her son when he was a small child. She teaches him to speak and the ways of the humans.